Translating a novel so entrenched in the lore of 20th Century literature into dance is an ambitious task at the best of times, especially when the novel in question is as subtle and ironic as F. Scott Fitzgerald’s Art Deco masterpiece, The Great Gatsby. Choreographer David Nixon had his work cut out for him when trying to present the story of The Great Gatsby through the medium of ballet. Without Fitzgerald’s dialogue, the story takes a backseat. It is perhaps for this reason that the performance focuses on the glamour and decadence of Gatsby’s famous parties. It is brimming with elaborate costumes, mesmerizing dance routines, and a sumptuous jazz soundtrack. What makes Northern Ballet’s production so interesting is the seamless way in which seemingly disparate styles are fused together. A ballet-tinged Charleston near the end of the first half becomes a fascinating spectacle when, for the first time in the performance, the cast begins to sing rambunctiously along with the score. The ballet’s epiphanic moment comes during the final scene. The fatal love story comes to a climax, and the loss of hope is palpable - a subtle change to the scenery during the final moments is heartbreaking. What let the ballet down, however, was its characterisation. In the first half, the stage is so crowded that it is difficult to tell who the main characters are. During the second half, the cast is whittled down to the key players who remain almost static in their character development. 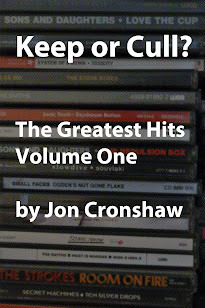 Those unfamiliar with the novel will no doubt be left bemused. The Great Gatsby is a beautifully understated and subtle novel that doesn’t quite work as a ballet. Much of what made the original so arresting is unfortunately lost in translation. 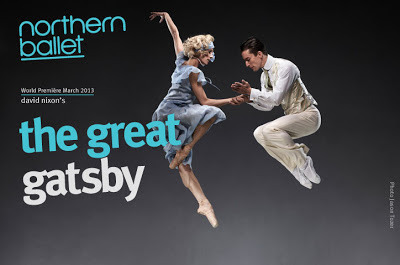 The Great Gatsby is being performed at the Grand Theatre, Leeds, Sat 2 March, 2013 - Sat 9 March, 2013. For more information visit northernballet.com.